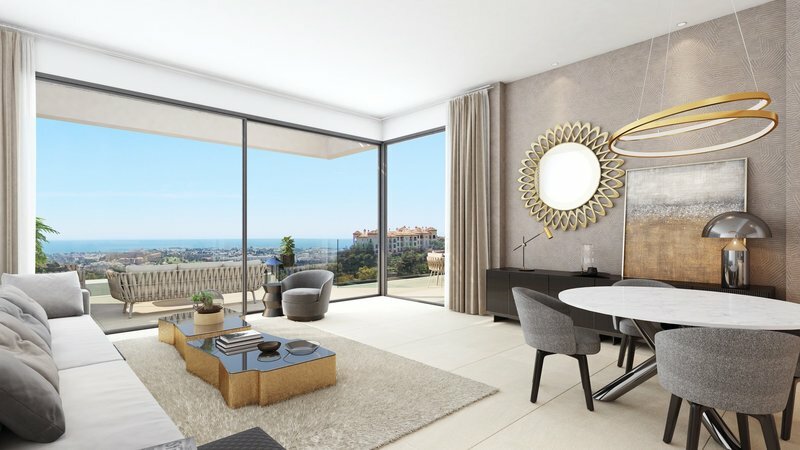 New 2 bedroom penthouse in Aqualina Collection, a prestigious new boutique development of just eight two and three bedroom apartments and penthouses are spread across just two buildings offering even more seclusion. Select ground floor garden apartments are perfect for creating a relaxing Mediterranean oasis. Beautiful open plan living space extends out into your personal garden, ideal for families. 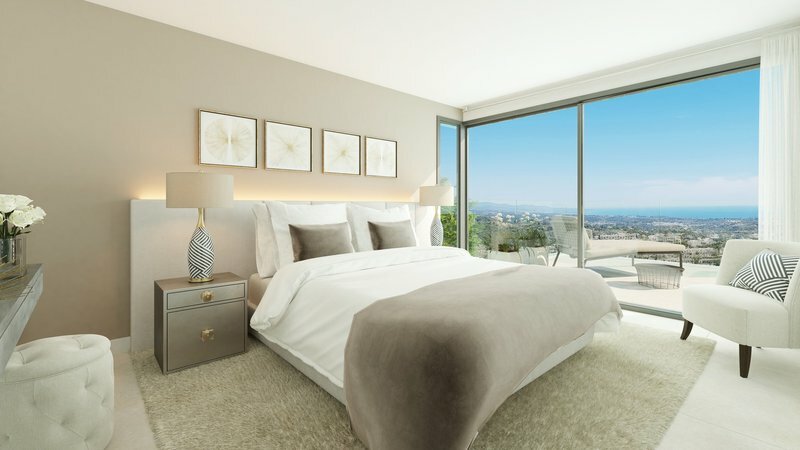 Opting for a penthouse means benefiting from fabulous views from this stunning hillside position. 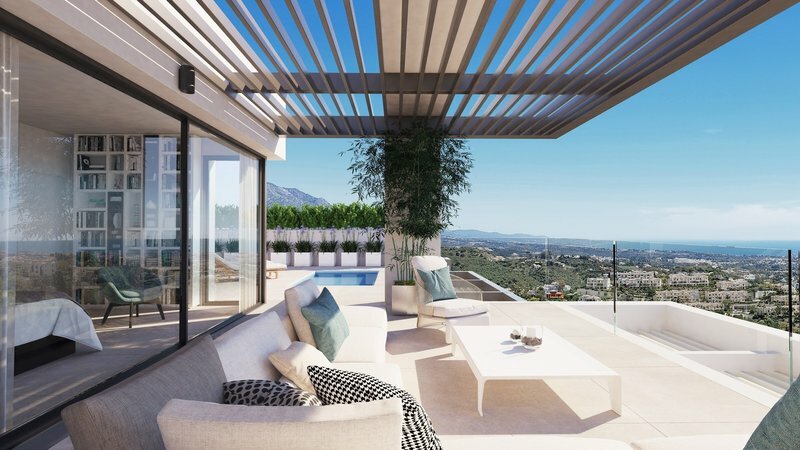 Penthouses boast an extensive rooftop solarium with the luxury of a private plunge pool and a built in barbecue area. 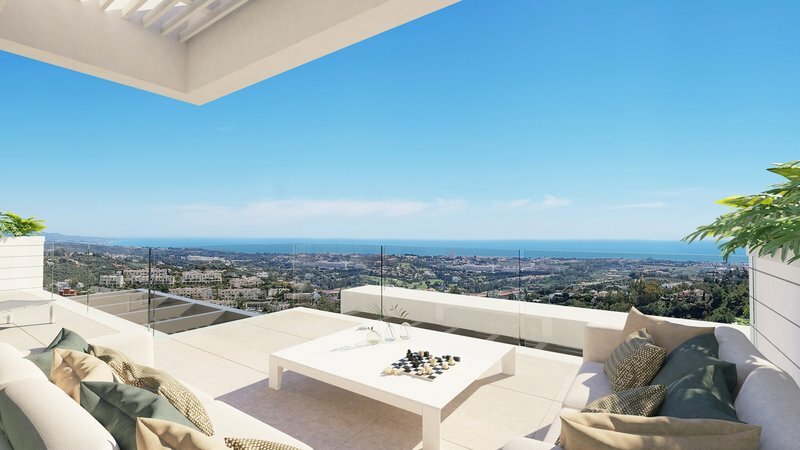 Long summer’s days will be spent up here enjoying the relaxing Mediterranean lifestyle. 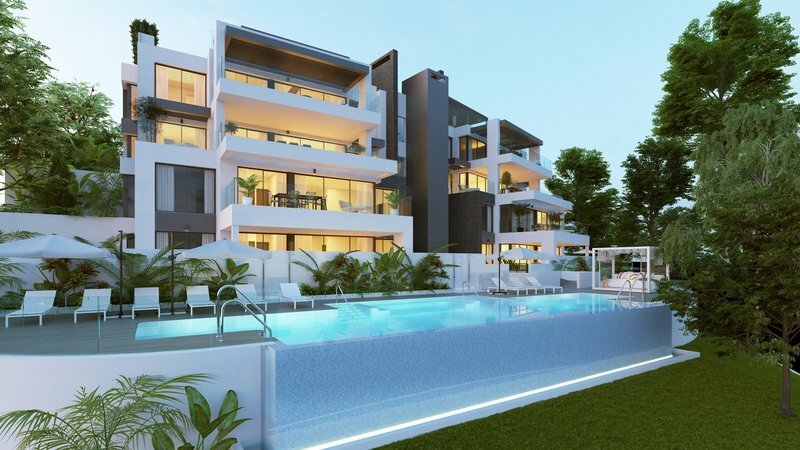 These luxury apartments offer that extra exclusivity and are both stylish and very spacious with high ceilings and expansive terraced areas leading out from each bedroom and living area. 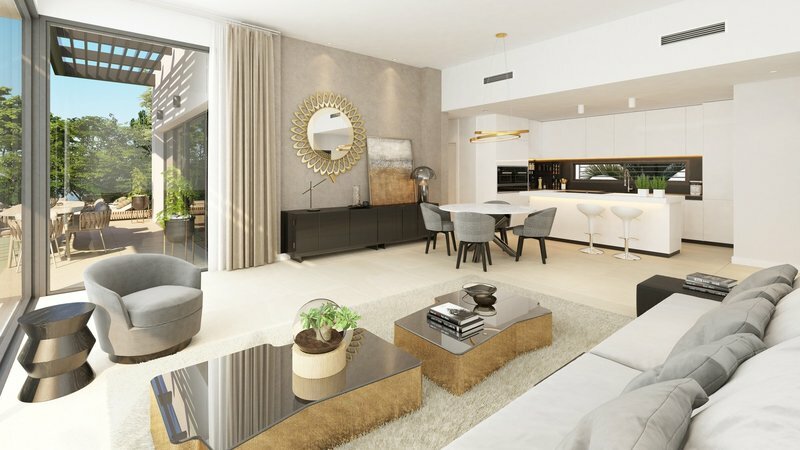 Open plan living areas mean optimal use of space with a fully equipped modern kitchen blending with living and dining areas. Floor to ceiling windows bathe the living areas in natural light and make for a seamless integration between internal and external space. 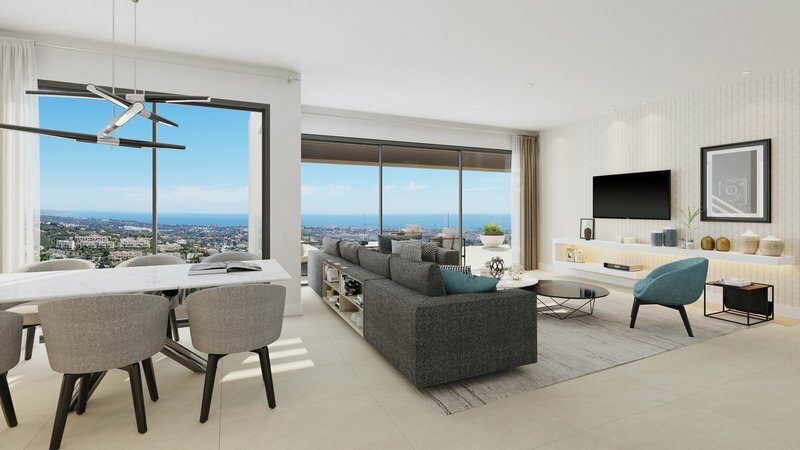 The chic apartments are equipped with high quality features including porcelain tiles throughout, solar panels to keep costs down and thermally insulated motorised roller shutter blinds in the living room and master bedroom. For comfort there is hot and cold air conditioning throughout and large windows to maximise natural light and those all important views. 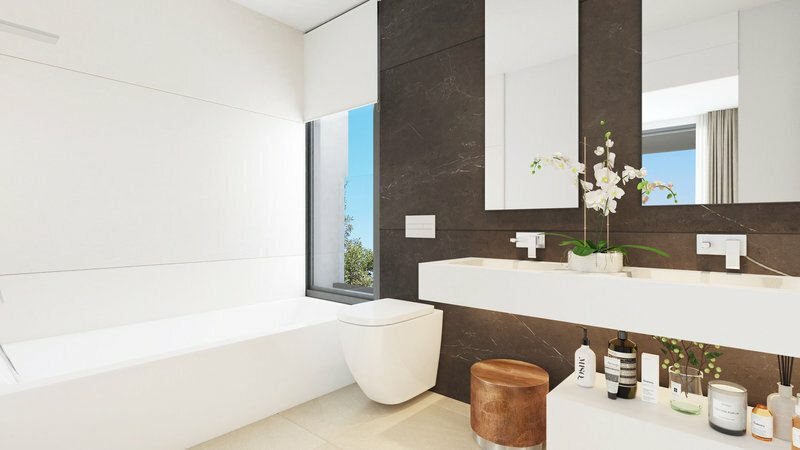 Finishing touches include contemporary bathrooms with hanging sanitary ware, recessed LED lighting and fitted wardrobes as well as large terraces and garden areas making the most of the outdoor space. For convenience and security each apartment features a video entry phone and comes with private underground parking and a storage room. Located in the exclusive area of Benahavis renowned for its Michelin star cuisine and luxurious properties, the elegant residences of Aqualina are perfectly positioned for enjoying every aspect of luxury living on the Costa del Sol with the glamorous boutiques of Marbella and stylish marina of Puerto Banus under 10 minutes away and surrounded by some of the best golf courses in the area including El Higueral – a beautiful 9-hole course built along the banks of the Guadalmina river, as well as Los Arqueros and La Quinta.